It is high time for the blind negligence and stubbornness to stop. The United States cannot continue to throw unsustainable amounts of money and weapons at an international issue that only produces negative results. This is not only a thinly veiled excuse for informed policy, but it is also indicative of a lapse in responsible hemispheric leadership and displays a dangerous backwardness in our modern political regime. A liberal democracy is designed specifically to listen to its constituency and refrain from spending billions of tax dollars on policies that have proven ineffective. In the case of international anti-narcotics aid, the truth is that it encourages violence. Colombia’s insurgent group, the Revolutionary Armed Forces of Colombia (FARC), “clearly believes that U.S. counter-narcotics assistance is…disguised as counter-insurgency assistance,” and “the FARC has stressed the threat that U.S. military assistance to Colombia poses to the peace process.”  In reality, militarization of the drug war only breeds further violence and crime. The War on Drugs has fundamentally failed; it is time for Washington to try something radical and different. Recent developments in Uruguay might shed some light on the answer. What Does Uruguay’s Legalization Mean for International Drug Policy? On December 23, 2013, Uruguay became the first nation in the world to legalize the distribution, sale, and consumption of marijuana for recreational purposes. President José Mujica pushed the initiative through the left-leaning legislature with the intention of decreasing the country’s already low crime rate, separating the marijuana market from the more violent cocaine and heroin markets, battling regional drug trafficking problems, and generating tax revenue to be used for drug education and treatment. With a legitimate state-run and regulated market for marijuana, Uruguay hopes to undercut the prices charged by Latin American traffickers and cartels, which would slice off a large portion of their profits. This, along with international and regional support, would either force the illegal groups out of business or pressure them to focus on the production and distribution of cocaine and heroin, both of which can be more directly targeted and enforced by national security and police forces. International experimentation with decriminalization and regulation of marijuana and even harder drugs has had positive effects in several places. In Portugal, the abolishment of criminal penalties for personal possession caused “illegal drug use among teens [to] decline…and rates of new HIV infections caused by sharing of dirty needles [to] drop.”  Many states are bound to follow in the footsteps of Uruguay and Portugal once overwhelming evidence favoring alternative strategies is solidified. Thus, it is in the United States’ best interest to begin dealing with drug addiction and possession not as crimes, but as a larger social health issue. This would set a good example for the international community and may reinstate a portion of our lost credibility in the hemisphere and around the globe. Drug Realities and Domestic Pressures in the U.S.
Today, 21 U.S. states and the District of Columbia have some form of legislation decriminalizing the possession of small amounts of marijuana, most often for medical purposes. Only two states, Colorado and Washington, have gone the full distance and legalized possession of up to one ounce for recreational purposes. While Washington lacked the appropriate infrastructure to initiate rollout immediately following legalization, Colorado has set up a state-regulated supply chain based off of the medical dispensary system. In January alone Colorado collected 2 million USD in marijuana sales tax, and statewide outlets are expected to generate tens of millions of dollars in revenue every year as consumption increases. The income will then be funneled into social programs including public schools and health campaigns that warn against “stoned-driving” and teen drug use. While these great strides forward are indicative of the growing pro-legalization trend in America (the most recent Gallup poll shows that 58 percent of Americans support legalization), any legislative action on the part of states is in direct contradiction to federal law, which still officially categorizes marijuana as a Schedule I narcotic. This group is defined as “drugs, substances, or chemicals…with no currently accepted medical use and a high potential for abuse,” and includes much more harmful drugs like heroin, LSD, MDMA (ecstasy) and peyote. Contrary to this classification, death as a direct result of the sole consumption of cannabis has never once been recorded, and researchers have documented a myriad of positive medical implications. Thus, the age-old marijuana taboo defies substantive findings. However, the majority of Americans are speaking out and slowly, inertia is building towards a change in federal policy. If the experiments in Colorado, Washington, and Uruguay bring favorable outcomes in terms of a decrease in violent crime and drug trafficking, then smart leaders will take the logical step toward a better future. Needless to say, a strong start towards the realization of this future would be the legalization and regulation of currently illegal narcotics, marijuana being first and foremost. The Economist aptly observes that this would lead to an overall increase in drug use, but high taxes and educational campaigns would reduce the potential for abuse. When drugs are treated as a public health issue, “legalization offers the opportunity to deal with addiction properly.”  Furthermore, in the United States and Europe this would cut out a large portion of trafficking profits, produce considerable tax revenue to be spent on social-wellness programs and education, benefit the economy by creating jobs in the addiction-prevention, drug education, and health fields, save billions of tax dollars, and replace people convicted of non-violent crimes with dangerous criminals. Thus, when demand is tampered, attempts to eradicate production and trafficking could move towards de-militarization, saving millions of lives in the process. As unrealistic as it may seem, providing earmarked funds—instead of weapons, aggressive training, and security forces—to countries in Latin America plagued by cartel-driven violence could help end the cycle of bloodshed that the Drug War generates. Similarly, carefully monitored financial aid to drug-producing states could help subsidize an agricultural switch to food crops instead of coca, poppy, and cannabis plants. It would also support social and cultural development programs in communities that are struggling to resist the pull of dangerously lucrative cartel operations. Some may argue that sending federal money to possibly corrupt governments in Latin America that may be involved in drug production and trafficking is counter productive to the initial purpose. However, with the oversight and support of the international community, and its many bureaucratic apparatuses such as the United Nations Commission on Narcotic Drugs, strategically targeted aid could serve as a momentous boon to the struggle currently taking place. The only way that drug-producing countries like Colombia and Mexico will be able to make any headway on their side of the effort is if the United States and Europe begin curbing and treating domestic demand for illicit substances. Therefore, Uruguay’s historical initiative should establish an important template for other countries to follow; and with enough public support and logical legislative action, solutions to our current problems can begin to take effect. Though a drug-free world is an impossible utopia, there is a better way to address drug production, trafficking, and violence than adding fuel to the fire. After more than 40 years of policies that do absolutely nothing but encourage murder, poverty, and drug abuse, progressive change is the only option we have left. “Drug War Facts Factbook” (Common Sense for Drug Policy, November, 2007). http://www.drugwarfacts.org/factbook.pdf (June 25, 2014). “Drug War Statistics” (Drug Policy Alliance, 2014). http://www.drugpolicy.org/drug-war-statistics (June 25, 2014). “Drug War Facts Factbook” (Common Sense for Drug Policy, November 2007). http://www.drugwarfacts.org/factbook.pdf (June 25, 2014). Jeffrey Miron, “International Analysis: Uruguay and Marijuana Legalization,” (CATO Institute, January 7, 2014). http://www.cato.org/publications/commentary/international-analysis-uruguay-marijuana-legalization (June 26, 2014). 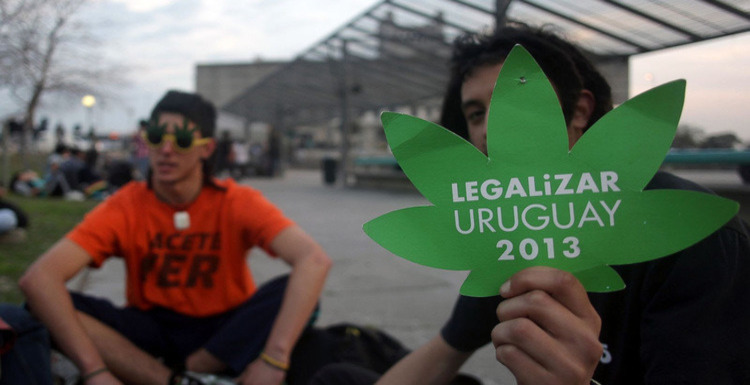 Leonardo Haberkorn, “Uruguay’s Legal Marijuana Market Begins Rollout,” (May 6, 2014). http://www.huffingtonpost.com/2014/05/06/uruguay-marijuana_n_5275931.html (June 26, 2014). Phillip Smith, “Latin American Leaders Push Drug Reform at UN,” (Activist Post, September 27, 2013). 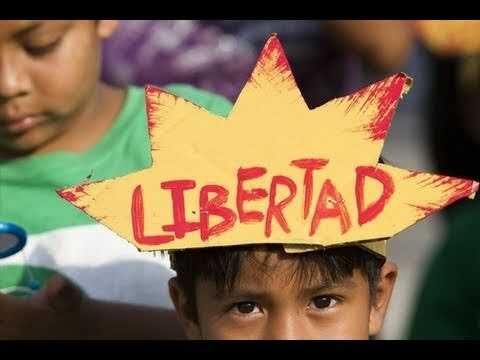 http://www.activistpost.com/2013/09/latin-american-leaders-push-drug-reform.html (June 27, 2014). Maia Szalavitz, “Drugs in Portugal: Did Decriminalization Work?,” (Time, April 26, 2009). http://content.time.com/time/health/article/0,8599,1893946,00.html (June 25, 2014). “State Marijuana Laws Map,” (Governing, April 22, 2014). http://www.governing.com/gov-data/state-marijuana-laws-map-medical-recreational.html (June 28, 2014). Kelly Erb, “It’s No Toke: Colorado Pulls in Millions in Marijuana Revenue,” (Forbes, March 11, 2014). http://www.forbes.com/sites/kellyphillipserb/2014/03/11/its-no-toke-colorado-pulls-in-millions-in-marijuana-tax-revenue/ (June 29, 2014). “Drug Schedules,” (DEA). http://www.justice.gov/dea/druginfo/ds.shtml (June 29, 2014). “Surveys and Polls,” (NORML). http://norml.org/component/zoo/category/surveys-polls (June 29, 2014). “Recent Research on Medical Marijuana,” (NORML). http://norml.org/component/zoo/category/recent-research-on-medical-marijuana (June 29, 2014). “Annual Causes of Death in the United States,” (Drug War Facts). http://www.drugwarfacts.org/cms/Causes_of_Death#sthash.oSk3zxMQ.dpbs (June 30, 2014). “How To Stop the Drug Wars,” (The Economist, March 5, 2009). http://www.economist.com/node/13237193 (June 30, 2014). 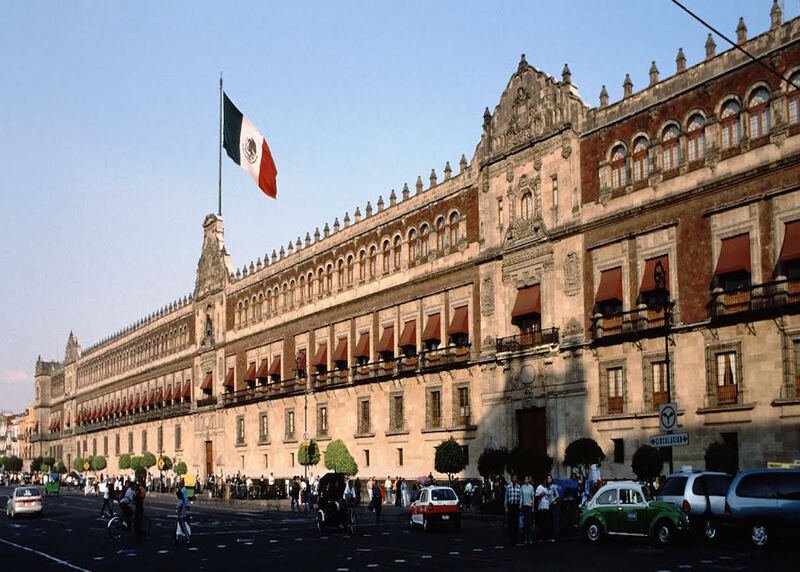 Why Are Mexico’s Elections Likely to Generate Violence?